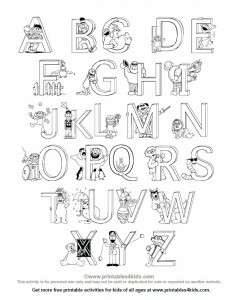 This fun coloring page featuring the Sesame Street characters is a great way for preschoolers to learn their letters. Encourage your child to identify the letter, the character, and the object in the picture that begins with the letter they are working on. Click on image to view and print full size. Or download Sesame Street alphabet coloring page as a PDF file. This is a perfect activity if you are having a Sesame Street Party or Abby Cadabby themed birthday party too!